HotSpring Spas of Music City, Nashville’s exclusive Hot Spring Spas dealer is in the final stages of completing their new 8,504 sq. ft. hot tub, spa and sauna showroom. Estimated date of completion is March 1, 2012. “Choosing the right hot tub for you and your family can be overwhelming and confusing with the various products, brands, options and features that are available out there today. Our goal has always been to take the stress out of buying a spa. That’s why we encourage our clients to ask questions. In addition, we’ve invested in hiring and training our spa specialists to be sure each client gets all the information they need to make the best spa buying decision possible,” said Croteau. 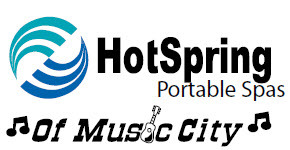 “To thank the people of Nashville for making this move possible, HotSpring Spas of Music City is having a grand opening/customer appreciation March 18 – 24th. In addition, there are still three 2011 Hot Tubs left with savings of up to $3,000, said Croteau.